Arya Sekhar Chakraborty throws light at the mystery behind the ‘mystery spinners’. Cricket has always been a game filled with stories and myths, both on and off the field. Sometimes, myths related to this incredible game take the centre stage and reality goes out of the park. The whole 22 yards is flooded with mysteries. And the five butter fingers and wrists of the spinners have been the toughest mystery to solve in the history of the game. Flight, drift, line and length have been traditional weapons for a spinner to succeed at the highest level.But spinners often deviated from the traditional art of spin bowling and developed unique ways to deliver the ball. In fact, such deviations have gifted the game with some of its masters of the craft. But some ‘mystery masters’ often forget the old saying, learn to stand up perfectly before run. Like any other field attaining perfection in the department of spin bowling is obviously a relative term but it demands a life time dedication. But with the advent of ‘quick recipe’ in cricket who wants to take the harder path. Media is here to create hype whenever a new spinner comes in the international arena. Experts are ready to analyse his bowling action and put the ‘mystery’ tag on him as quickly as possible. Such tendencies are more prominent in India where cricket is the most popular sport and cricketers literally enjoy a demi-god status. India has always been a team dominated by quality batsman and spinners and lacked in the pace department. It has been known for producing great spinners who have made many good batting line ups fell to their artistry and guile. 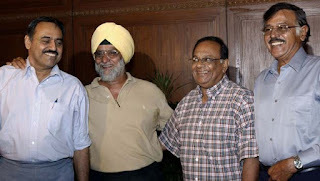 The famous spin quartet of Indian cricket, namely Bishen Singh Bedi, Bhagwat Chandrasekhar, Erapalli Prasanna and Srinivas Venkataraghavan, perplexed many great batting line ups in their heydays. Surprisingly, they had no mystery about their bowling and they were traditional spinners with no hype around. Their actions or release of the ball had never been questioned by any authority. They stuck to the basics and flighted the ball and pitched in the right areas and made the opposition succumb to their artistry. Bedi had such a relaxed and smooth action that he was an asset to any captain as he could bowl all day accurately with guile and rhythm. Chandra was a traditional leg-break bowler and with his faster trajectory bamboozled many great batsman. Arguably the greatest spinner of all time Shane Warne didn’t require any ‘mystery’ tag to fox the batsman. He was capable of destroying any batting line up with his smooth and simple bowling. He was extraordinarily perseverant. Warne had never been accused of any ‘illegitimate’ wrist or elbow break. But he remained a mystery to many batsman till the last day of his career. Experts suggest that the term ‘mystery spinner’ has been applied on off-spinners more often than leg-break bowlers for the very reason that off-break bowling offers more chance to fold arms and twist of fingers. The mystery deepened with introduction of ‘doosra’ (a delivery that moves the other way round) by off-spinners. Pakistani off-break bowler Saqlain Mushtaq was the inventor of that magic ball. With increasing revenue the gentleman’s game was taking a different shape in the sub-continent at that particular time. And media grabbed that opportunity with both hands. Thus, cricket changed forever. Experts started to find ways to create artificial interest about skills of many individuals. The trend continues since then. The term 'mystery spinner' first came in forefront when Sri Lankan Ajantha Mendis created havoc when he bamboozled the Indian batsman by picking up six wickets in the Asia Cup final in 2008. He was the inventor of ‘Carrom Ball ‘and unlike a traditional spinner had an uncanny action. The young spinning sensation from Sri Lanka, however, fizzled out rather quickly as batsman round the world got used to his artistry. The story of West Indian mystery Sunil Narine is somewhat same. Media has intelligently used the economic boom around the game to earn more revenue by endorsing the idea of ‘mystery spinner’ with emergence of the Indian Premier League (IPL). Thanks to the 'mystery' tag both Mendis and Narine were roped at unbelievable price by IPL franchises. In fact, both have done pretty well at the shorter version of the game but their test record is not that impressive. They were even dropped from the national squad poor performance. But the media continuously needs faces to project as the new mystery born in the spinning fraternity. So they came out with Saeed Ajmal, Mohammad Hafeez , Rangana Herath, KC Cariappa and many more. The build up for the upcoming tour of the Proteas to India has already started with the same old ‘mystery spinner’ slogan. It would continue till the fans discover that there is no mystery around. Mystery spinners have come, conquered and have disappeared to soon to anyone's liking. They practically have no effect on this game which has a rich history and legacy. Perhaps the most incredible mystery is how media has maintained the enigma about mystery spinners for so many years. If I Am Showing My Bra, Then What's Wrong With That? "I Was Never a Romantic Person"